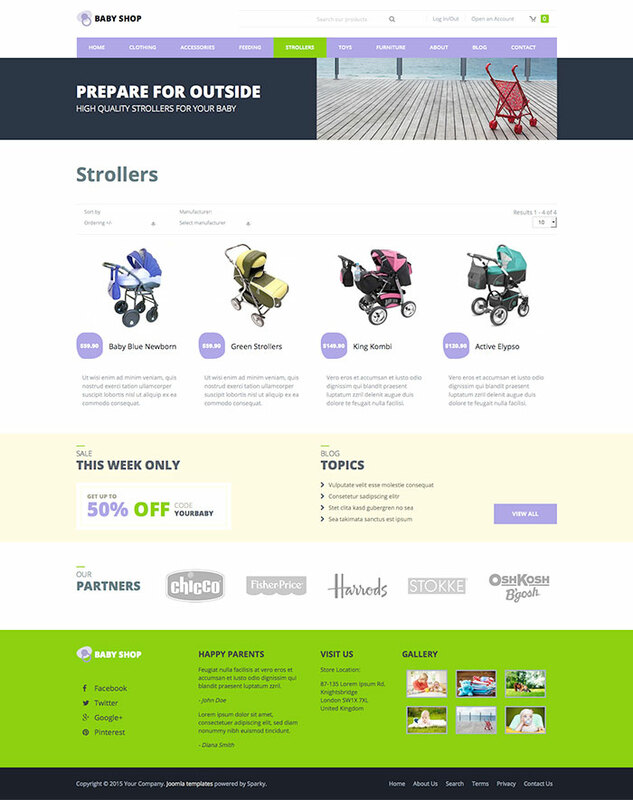 A year after the last VirtueMart template has been released, inspired by so many requests of our customers, we are releasing Baby Shop template. 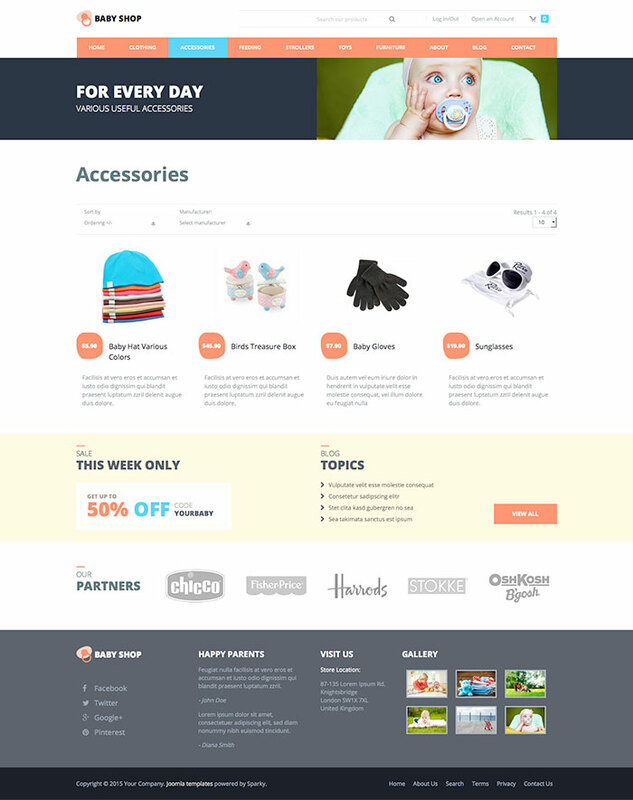 This is e-commerce template powered by VirtueMart and designed primarily for online shops that sell products for babies and kids. Since the parents are usually very busy looking after their children, they often shop online to save some time. Therefore, online shops for babies and kids are popular and it's usually a profitable business. 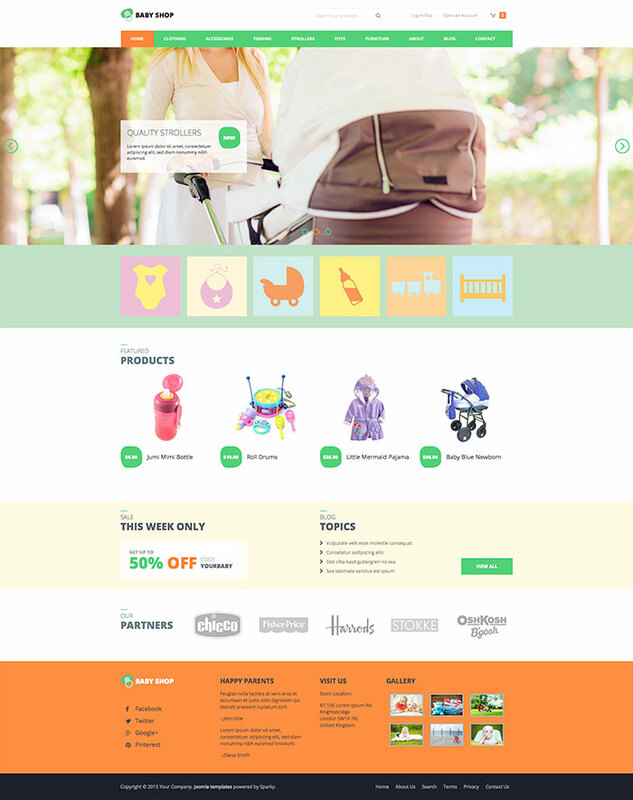 Compared with the previous VirtueMart releases, we put a lot efforts in Baby Shop to make it more mobile friendly. Our main task was to create an user interface that works great on smartphones, tablets, notebooks and desktop computers. Touch gestures are now supported with help of new Hot Swipe Carousel module. The gallery section is also responsive and images in overlay look great on mobiles. It powered by new Hot Responsive Lightbox module. The six banners below the big carousel are links to the product categories. They are enabled with some nice CSS3 hover effects. Though, you can put different text, images and links there. In example, maybe you would like to give more accent on some products, rather than categories. Above all, this Joomla template is very customizable since it's based on Sparky Framework 2. 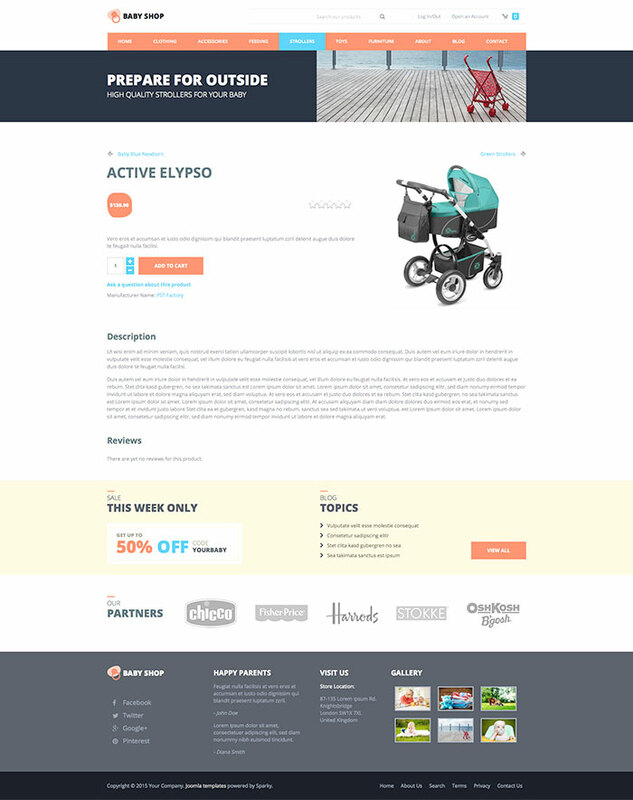 On the demo, we put some sample promo codes, latest blog posts and partner logos at bottom part of the template. 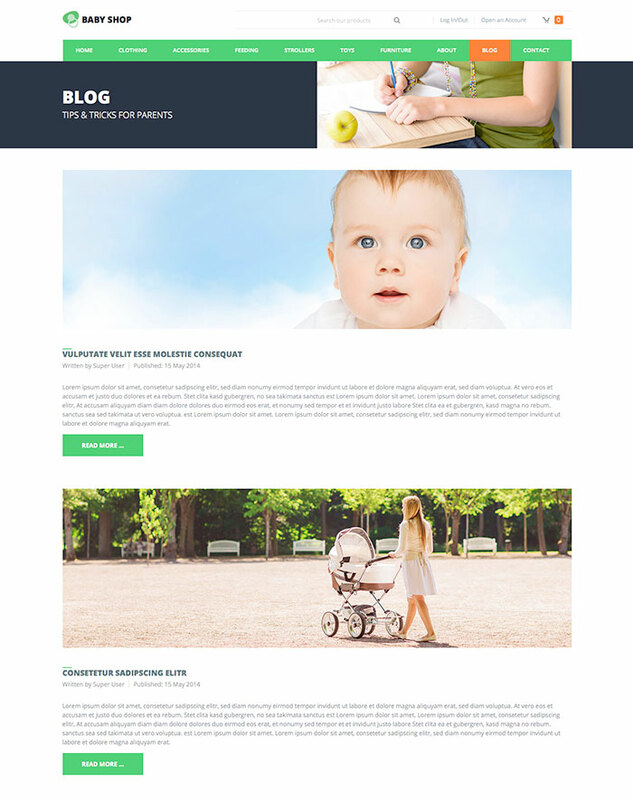 The latest blog posts are core Joomla module and it's connected with Blog. As you know, this is an important part of every successful online store. The promo code and the partners modules are custom HTML modules, so you can change their content with any content you might need there. We included 3 color variations with this template and all of them are based on vivid color schemes. Such colors are appropriate for baby and kids shops. Anyway, you have full control over any color, so it's not a rocket science to tweak or completely change the colors of the baby shop template. 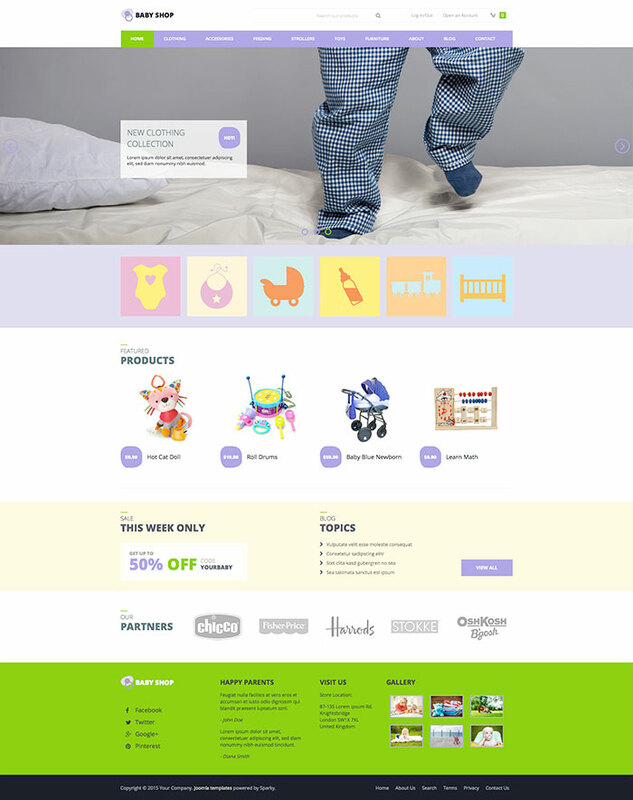 We hope the baby shop template powered by VirtueMart will help you to make a successful online store for products for babies and kids or any other kind of products. Responsive template, based on a clean HTML5/CSS3 code, and powered by Sparky Joomla template framework. 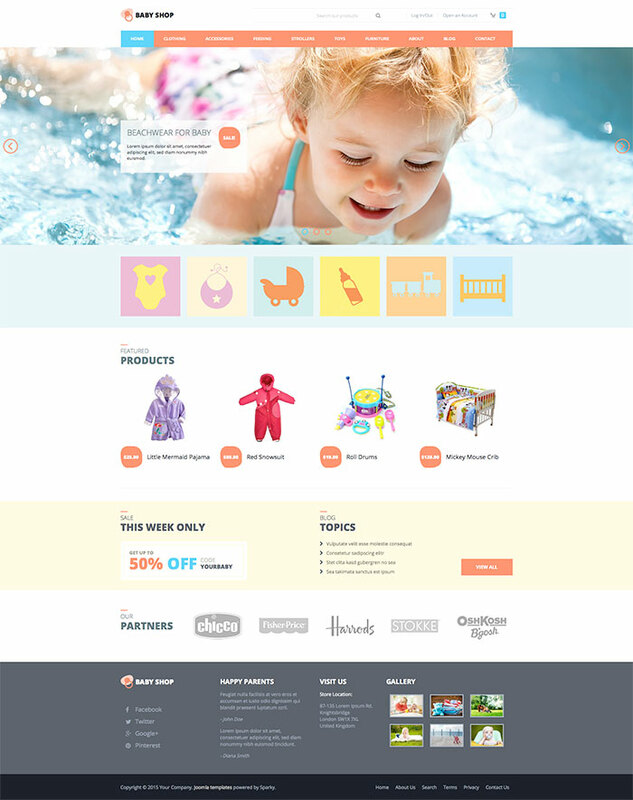 Hot Swipe Carousel, Hot Responsive Lightbox and Hot Maps modules are included with Hot Baby Shop template. All commercial modules included in this template are free for you, if you buy template (you save $15 per module). All extensions are styled and configured for using with this template. 24 module positions are used in our demo. Unlimited number of module positions can be added easily within Layout Editor of Sparky Framework, if needed. Top menu with drop-down sub-levels. It's optimized for mobile devices.